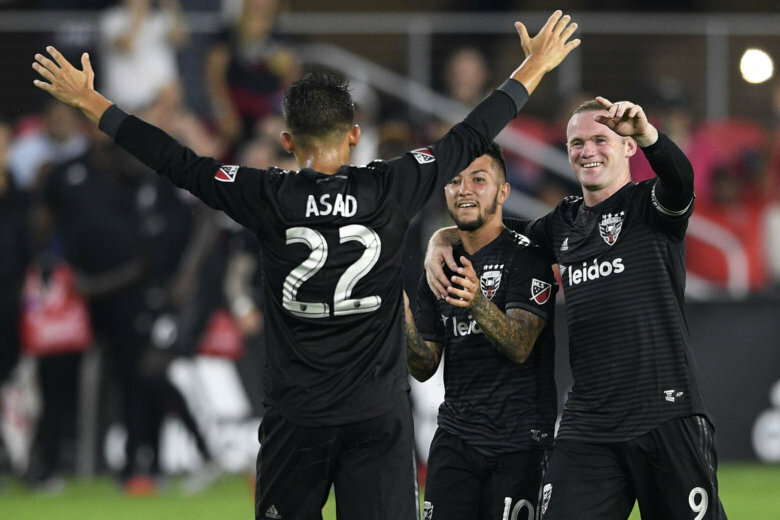 Wayne Rooney scored twice in the second half to raise his season total to nine goals in 16 matches, and D.C. United rallied to beat the Chicago Fire 2-1 on Sunday. Rooney tied the score in the 62nd minute when his slight deflection of Paul Arriola’s cross caused goalkeeper Stefan Cleveland to bobble the ball, and Rooney tapped home the rebound. Rooney converted a penalty kick in the 81st after Junior Moreno drew a foul. D.C. United (11-11-8) is two points shy of sixth-place Montreal for the Eastern Conference’s final playoff spot with two games in hand. D.C.’s 55 league goals are its most since 2007.